High quality image with improved resolution delivers a more natural three-dimensional experience and coloring. 360° spatial audio lets you record sound from all directions. Realistically record images and audio of the world surrounding youto recreate inspiring moments. Both the image quality of still images and video have been significantly improved and power consumption has been reduced by adopting a new image sensor that supports high-speed image data readout and Qualcomm® SnapdragonTM as the main processor. Furthermore, Ricoh's have completely changed the exposure accuracy and white balance algorithm by combining image processing technology cultivated through the development of high performance cameras that include Ricoh's digital SLR camera and GR. 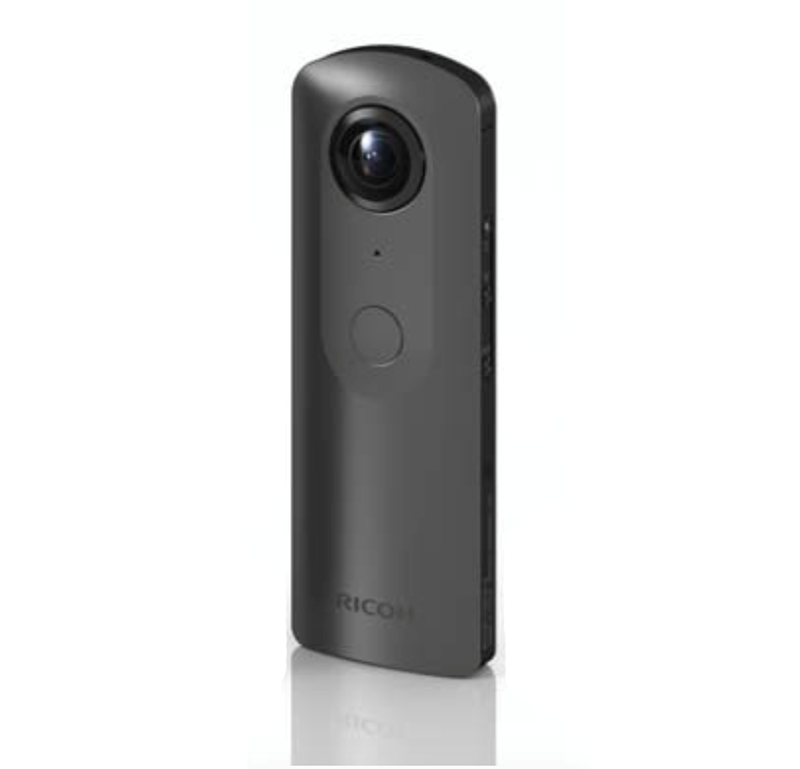 Ricoh's have also performed tuning to obtain accurate and natural portrayal of high-definition 360-degree spherical images with an approximately 14.0 effective megapixel output for still images even when using auto shoot. The camera has a 4-channel microphone that supports 360-degree spatial audio recording built into its body. Recording omnidirectional audio including, not just in the horizontal direction but also in the vertical direction, makes it possible to reproduce sound and video as it was in the environment where the video was shot by linking 360-degree video and audio together. Furthermore, using the dedicated accessory "3D Microphone TA-1" (optional) scheduled for launch at the same time will allow users to pick up natural sound with a large volume of information at low to high frequency. "Remote Playback" for 360-degree video is installed as a plug-in. Using a general-purpose receiver equipment such as a compatible wireless display adapters it is possible to mirror playback of 360-degree still images and video data stored on the camera. 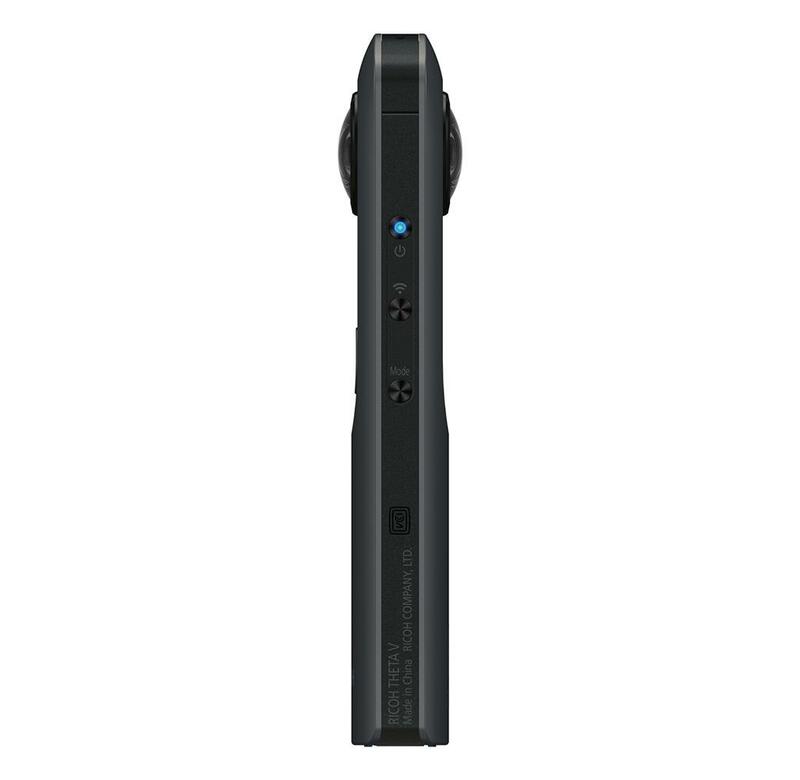 This allows users to enjoy powerful 360-degree video on large displays or over projectors by operating the camera. Image data recorded on THETA V can be played back in 360º on a monitor such as TV. 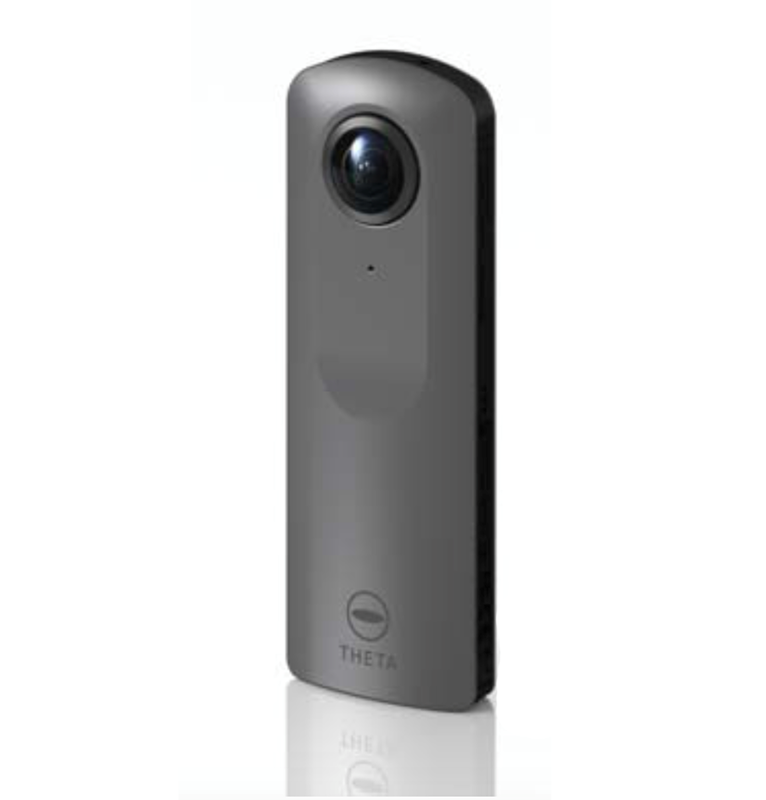 The THETA V also functions as a remote control which can be used to select the image file and move displayed 360ºimage up, down, left, and right. It can also zoom-in and out. The camera can always be connected to a smartphone using Bluetooth low energy. Image can be shot from a smartphone while connected only using Bluetooth, and the power of the camera can be turned on from the basic application when it enters sleep mode. This function provides improvements in usability. With wireless LAN connection, all functions such as live-view display on a smartphone and image transfer can be used. User can select either Bluetooth or wireless LAN connection as needed depending on the shooting scene. Users can directly post 360-degree spherical images shot using the camera to Facebook and LINE, or upload them to the theta360.com dedicated website and share them on social networks such as Twitter and Tumblr. Unique cropped image can also be shared with Instagram. It is also possible to submit captured spherical videos to YouTubeTM 360-degree channel and images to Google Maps. 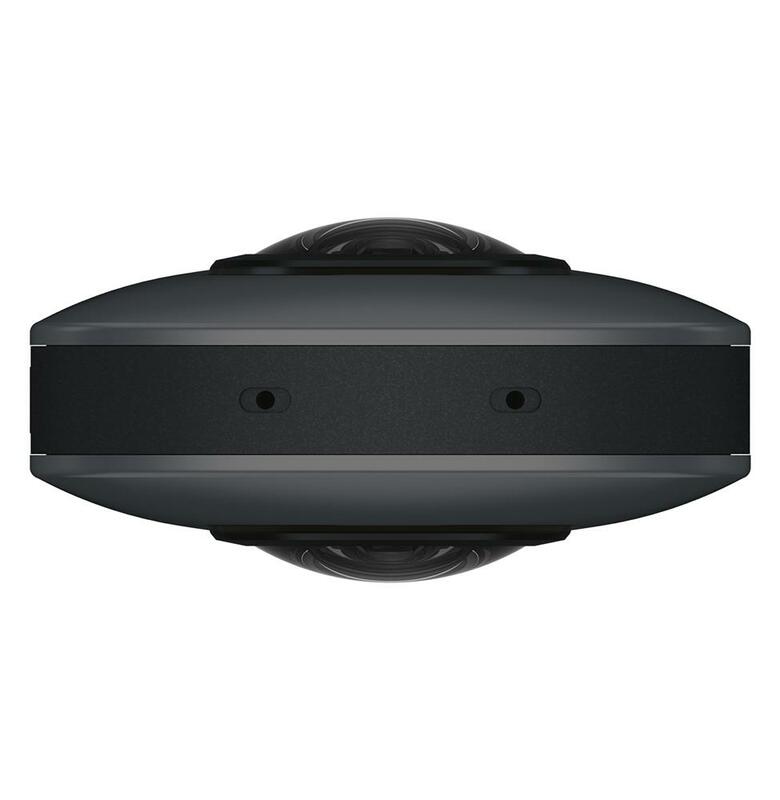 Real time output of high resolution 360-degree spherical image equivalent to 4K is supported. It is possible to share the atmosphere as though you are actually at the shooting location by viewing live streamed 360-degree spherical image over the Internet.